The city of Orrville, Ohio may be small, but the people and businesses here have been helping grow the community for more than 150 years. Akron and Canton are both only a short drive away, so residents of Orrville can easily enjoy the best of both worlds. But no matter where you’re located, it’s always smart to be sure that what’s important to you is well protected. ProTech Security understands what it takes to keep your most significant assets safe, and we know that it might take more than what you can find in an average security system. That’s why when we sell you a system, we make sure you’re fully set up with everything you need based on your situation. We won’t just walk away because we know every situation is different. When it comes to your family or your business, making sure that you have the best security system is our top priority. 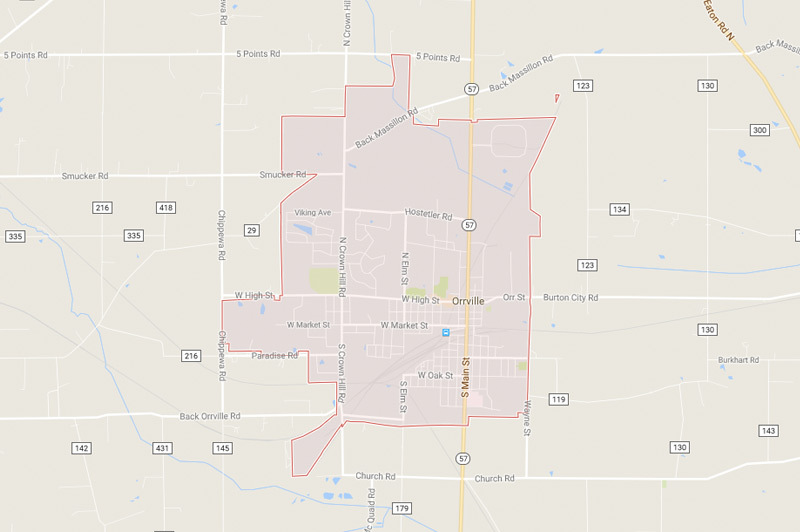 Interested in learning more about your security options in Orrville, Ohio? Your family deserves to sleep soundly at night without worry, so install a system you can trust to arm your house during all hours of the night. Our residential security systems for Orrville are custom designed for your specific situation, and we won’t try to push a product on you if you don’t need it. Our team will help you identify the right security system that you can count on at any time of day. Don’t let your business go without the necessary protection it needs to prevent disaster. At ProTech, we offer commercial security systems for Orrville to satisfy everything you require for adequate security. We can help provide custom protection for Orrville businesses, schools, and government institutions. Our team is able to give you the advice you need to design the best security system for your area, and can recommend products that would be best for keeping your grounds safe. We also offer custom solutions for educational institutions and government facilities throughout Northeast Ohio. Have a plan in place with our selection of security systems for Orrville built around giving you the best protection possible. From immediate gunshot detection to revamping your visitor management, we’ll help you strengthen the security around your building. The ProTech Security Advantage is more than 35 years of service and a strong commitment to providing quality, cost-effective protection for homes, businesses, educational institutions, and government facilities. That includes a forward-looking philosophy that centers on the latest in IP (Internet Protocol) technology and IT (Information Technology), which is built with dynamic, non-proprietary systems. We’re proud to call Northeast Ohio home. For more information about how we serve our neighbors in Orrville, contact us today.